Federico Musto started working with Linux in 1993, and has completed his studies of Business Administration at the University of Milan. After, thanks to a study grant form Olivetti, he moved to the US, where he received his Ph.D. in Computer Science from MIT and Masters degree in Business Administration from New York University. He worked as a researcher for IBM, before he started working for Red Hat Software in Raleigh. He has held the positions of GM South Europe and EMEA Product Director, and then after Deputy President and General Manager of Red Hat EMEA. 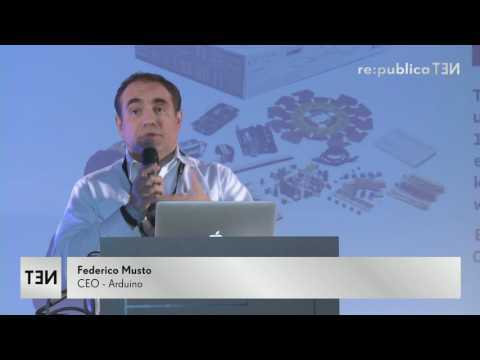 Since November 2014, Federico Musto was appointed as CEO of the Arduino Srl, managing global operations, supporting market development activities and sales.